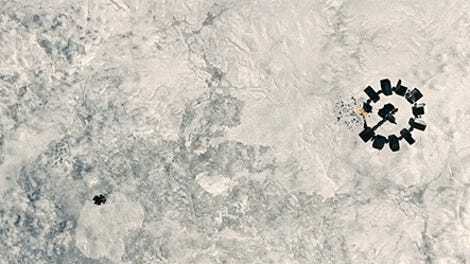 Of all the fictional robots created for the silver screen, Interstellar’s TARS still has one of the most unique, and bizarre, designs. 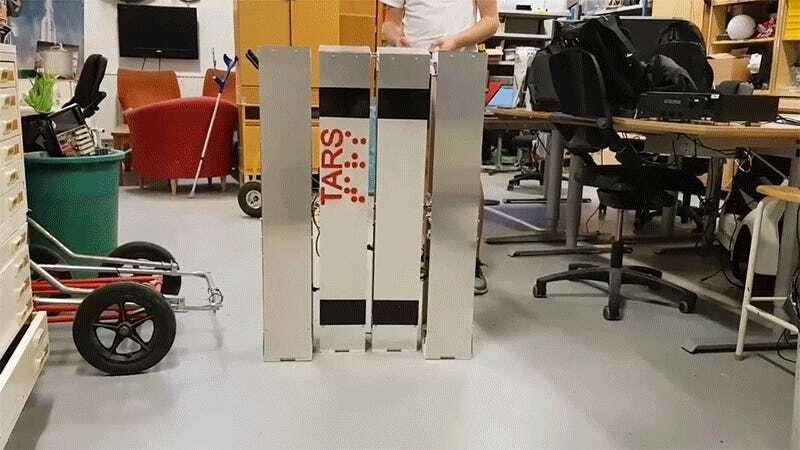 It was brought to life for the film using a combination of puppets on set and a dash of CGI in post-production, but students at Chalmers University of Technology in Gothenburg, Sweden, are working to build a real-life version of TARS that can move around all on its own. 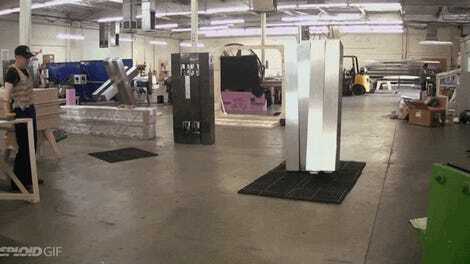 Without the assistance of visual effects that created the illusion of TARS and the other boxy robots in Interstellar moving smoothly and quickly, this smaller version of TARS seems a little unsteady on its feet. But it works, thanks to some clever engineering and control systems helping the robot to maintain its balance. Mini-TARS’ wobble is a result of its electric motors that require a separate control system to constantly monitor and control the bot’s movements. Its creators feel that switching to precise stepper motors would help smooth out the movements of their TARS, and make it seem like it walked right out of Cooper’s ship. What Is the Most Baffling Decision a Scientist Has Made in a Science Fiction Movie?